As a student, it’s easy to get bogged down with the responsibility of completing homework assignments and meeting the expectations of extra-curricular activities. There’s not doubt about it, college life is challenging. However, in the midst of studying for exams, one will always find some down time. It may not seem that way in the beginning, especially when your professor first hands you the syllabus for the semester, but trust that once you get organized and become familiar with your surroundings, college life at Florida National University (FNU) will just seem like a regular day. As these “regular” days will have some down time, there is one thing that FNU students never have to worry about, and that’s being bored! Located in South Miami, FNU is conveniently located in the midst of the most populated cities in Florida. Highly populated areas typically mean a booming area of commerce, meaning that there are many businesses strategically planted in the area to accommodate the needs of workers. This is usually a great recipe for a thriving economy. The island of the Bahamas is approximately 181 miles from Miami, Florida. While most college students in the United States are booking their flight to Miami for their holiday and spring break, FNU students can book their weekend cruise to one of the tropical islands in the Bahamas. Miami is considered the cruise capital of the nation with a grand port that docks major cruise lines from all over the world. For students on a budget, Miami also offers weekend cruises to Bimini, a smaller island of the Bahamas. What a great way to reward one’s self after a grueling week of exams! The famous Florida Keys is a string of islands off the southern tip of Florida. Though some travelers may visit this place by boat or airplane, it can be argued that neither one of these modes of transportation beats the experience of driving old US Route 1 to The Florida Keys. Depending on how much time a student has, he or she can take a 2-hour drive to Key Largo, or invest another 2 hours and enjoy the beautiful turquoise waters on either side of Route 1 to Key West where the Southern Most Point of the United States is. The Florida Keys is full of adventurous activities such as snorkeling, cruising on a glass bottom boat, swimming with the dolphins, paddle boarding, parasailing, camping, as well as a fantastic choice of bars for those looking for a happening night-life scene. Miami Marlins – An American baseball team that is part of the National League East Division. Their arena is located at the Marlins Park. Miami Heat – An American professional basketball team. This team is part of the Southeast division in the Eastern Conference of the National Basketball Association (NBA). The Miami Heat’s home games are located in the American Airlines Arena. Miami Dolphins – An American football team that is part of the Eastern division of the National Football League (NFL). The Sun Life Stadium is where these Dolphin play. Florida Panthers – This American professional ice hockey team is located on the outskirts of Miami in Sunrise, Florida. They are part of the Atlantic division of the Eastern Conference of the National Hockey League (NHL). They play at the BB&T Center. Students who might find that shopping is their form of therapy are situated in the perfect area, as Miami is quite popular for fashion. Known as the place where ‘anything goes’, some have referred to Miami as the fashion capital. 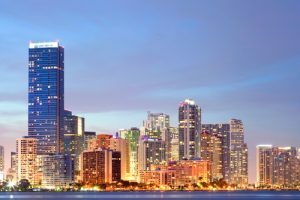 With that in mind, Miami lives up to its reputation offering shopping centers, malls, and high-end boutiques that offer an array of stylistic fashion fads as well as classic prints. Here is a list of some of the hot shopping spots in the Miami area. FNU is dedicated to giving our students a quality education. We also understand the importance of balancing work with leisure activities. This is why we inform our students about what all South Florida has to offer. FNU wants you to study hard, but enjoy your college experience. So if you are ready to go to a school in a place where you can participate in all of these exceptional activities, start the enrollment process now by contacting one our FNU counselors today!